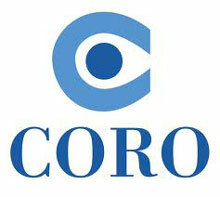 The deadline for applications is Jan. 18 for the Coro Fellows Program in Public Affairs. It is a full-time, nine-month, graduate-level experiential leadership-training program that prepares individuals to lead in the public affairs arena. The Coro Fellows Program in Public Affairs is a full-time, nine-month, graduate-level experiential leadership-training program that prepares individuals to lead in the public affairs arena. While it is unconventional by traditional academic standards, the Coro Fellows Program offers an opportunity for personal and professional growth. It is offered in Los Angeles, New York, Pittsburgh, San Francisco and St. Louis. The deadline for applications is Jan. 18, 2013. • leadership skills in inquiry, problem-solving, communication, organization analysis, and consensus-building. • professional growth and personal transformation. Sixty-four Fellows are chosen nationally each year through a selection process, including a daylong assessment at each center’s city. The Fellows represent a broad range of academic, work, cultural, racial and economic backgrounds, ages and interests. What they share is a commitment to civic engagement. Recent participants have ranged from 21 to 53 years of age. The program provides participants with experience in the for-profit, non-profit and governments sectors. Fellows Program alumni have served in every presidential administration since John F. Kennedy, and as members of Congress. They work in corporate settings, state and local governments, organized labor, media and academia; they have founded and work for grassroots and national nonprofit groups; and they have joined and led international non-governmental organizations. The deadline for applications for the 2013-14 class of Fellows is Jan. 18, 2013. Those who are interested in applying should read about the Fellows Program and then review the application process site. For additional information about the Fellows Program, go to the Contact Us page. Here is the main Coro site.